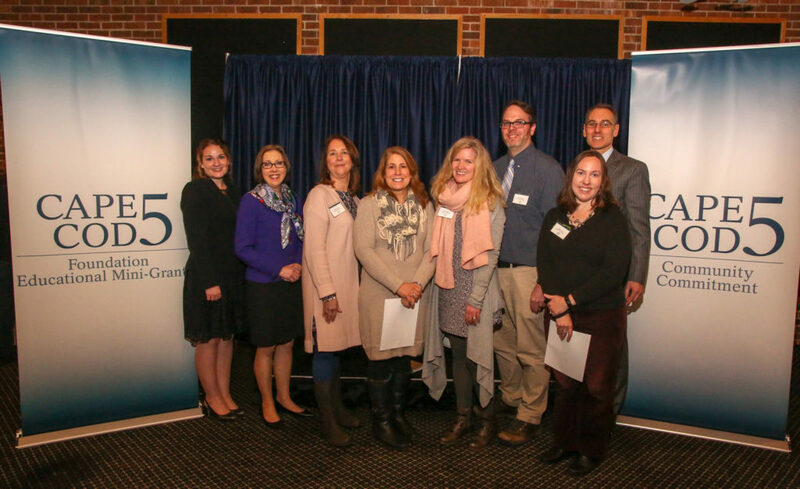 Every year, The Cape Cod 5 Charitable Foundation Trust provides thousands of dollars in mini-grants (up to $500 each) to fund educational projects to public school teachers from Cape Cod, Nantucket, Martha’s Vineyard and Wareham, Massachusetts. Since beginning the program in 2000, the Trust has administered more than 1,000 grants totaling over $450,000. This program has been very successful, and has funded highly innovative educational projects reaching thousands of students. It’s important to us that these successful ideas and projects are shared as widely as possible. Therefore we invite you to use this website to get ideas, to learn about educational projects that may be beneficial for your students, and to post information about your own project that was funded by our Educational Mini-Grants Program. We also invite you to post any comments or suggestions you might have about the projects described on this site. Comments and Conversations are Accepted and Encouraged! We want to hear from our customers and neighbors. All channels will be monitored on a daily basis by members of the Bank’s staff who will, when appropriate, contribute to the conversation. While we strive for everyone to think only the best of our institution, we understand that some visitors may wish to use the space for complaints or other issues. We ask that you refrain from using profane or off-color language; and that you keep the comments constructive in nature. Comments containing unsavory language, or which are considered inflammatory or off-topic, will be removed immediately. When posting information or questions, please remember this is a website only for Mini-Grant discussions. All bank related questions should be directed to our customer contact center at 888-225-4636 or you can submit an online request here. As always, when sending a message to Bank staff, please do not include private information (e.g. your account number, Social Security number, etc). Time-sensitive requests, such as lost debit card requests, will not be accepted online. Comments containing non-public personal information about any customer will be removed immediately. Thank you for your interest in the Cape Cod 5 Educational Mini-Grants Program website!